Dallas FW Locksmith provides complete locksmith service for commercial and business clients in Dallas and Fort Worth, TX and surrounding areas, including the installation of panic hardware. Our expert technicians can install and repair a variety of panic bars, push bars, and crash bars. We equip commercial doors with crash bars to permit safe, secure rapid exits from buildings during emergencies. As full service mobile locksmiths, we maintain a complete locksmith service addressing lock-related issues encountered by local businesses in a comprehensive way. We offer transparent pricing, fast and friendly professional service, and a very rapid 30 min response to customer calls. We will not leave your firm waiting for assistance. 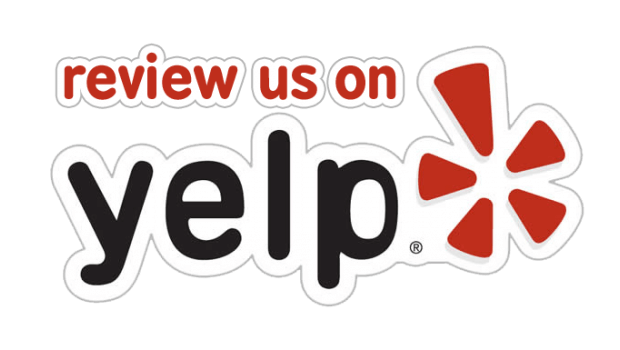 We value our clients and we make attending to their individual needs for lock-related services our top priority. With 5+ years experience as a commercial locksmith, our company offers ’round the clock service to businesses in Dallas and Fort Worth, TX. 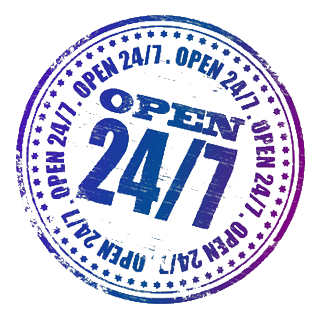 Our 24x7 locksmith service hires only fully licensed, bonded, and insured, expert technicians. We possess the integrity, skilled employees, and specialized tools and equipment required to install and repair panic hardware that will function correctly in association with a variety of different types of doors. In recent years, the need to maintain emergency access during unanticipated circumstances has caused numerous businesses and organizations in this area to install panic bars to provide extra safety. Today, it remains vitally important for organizations serving the public to have panic hardware on secure doors that will permit staff to exit and enter buildings quickly during an emergency. A strong public safety concern underlies this development. While public premises such as schools require the ability to conduct lockdowns in response to threats, they must also ensure that exits remain accessible for people who must depart from a building in a hurry. Sometimes, installing this type of equipment involves the ability to install different sizes and models of panic bars, crash bars, or push bars, because of the variety of secure doors that may safeguard building interiors and exteriors. We possess the training and expertise to install, repair, and maintain panic hardware in many different commercial and institutional settings. Whether you require this type of upgrade in a nursing home or hospital, a bank, an educational institution, a shopping mall, a retail outlet, a supermarket, a hotel or motel, or any other public setting where many people may need to exit premises quickly, we can provide assistance. Our highly skilled employees possess the training and experience to assess the types of locks involved and to correctly install applicable panic hardware enabling rapid emergency ingress and egress. Professional locksmiths today must possess the skills required to accurately service panic bars and related hardware, while still ensuring that a door’s locking mechanisms function correctly in every circumstance. It can prove helpful in performing this type of work to possess extensive experience in crash and panic bar installation techniques so that the process occurs efficiently. 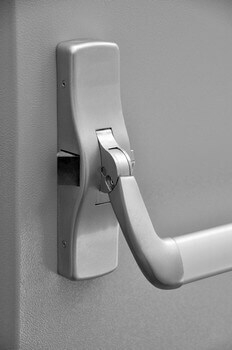 Many institutions and organizations with maintenance and custodial employees on staff will sometimes outsource the assignment of installing and maintaining crash bars, panic bars, and push bars. Their own employees may possess some basic locksmithing skills, but may not have received the training necessary to accurately service and upgrade those types of door safety mechanisms. We will cooperate closely with company maintenance personnel to make certain that your firm obtains complete locksmithing assistance, including the correction of malfunctioning push bars and panic bars. Dallas FW Locksmith offer customers honest service with a solid track record that includes 5+ years experience. Our fast and friendly, courteous attention to calls for lock-related services comes with a 30 min response, coupled with up front pricing. Our technicians take pride in providing a full range of commercial locksmith services. We are fully licensed, bonded, and insured, mobile locksmiths who possess the training and technical skills required to correctly install and repair panic hardware in a wide array of business and institutional settings. Call us the next time your company requires the assistance of a 24x7 locksmith service to install push bars or panic bars. Panic Hardware http://dallasfwlocksmith.com/panic-hardware/ 3.8/5 based upon 27 reviews.